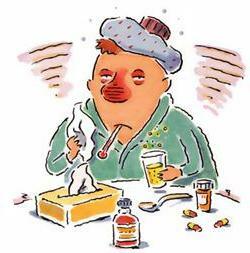 Fact: Influenza is a serious disease of the nose, throat and lungs and can lead to pneumonia. Every year, more than 200,000 people are hospitalized from flu complications including 20,000 children and about 36,000 die from the flu. The best way to prevent the flu is by getting a flu vaccination each year. This entry was posted in Uncategorized on September 7, 2014 by Katherine Quinby.